Our primary focus is creating high-performing teams through strengths application in executive development coaching and training. Why? Because we know that, inherent within every organization, every team and each individual is the potential for greatness. We make it our business to tap that genius aspect within each client. Knowing it’s there is a powerful first step, and that distinguishes us from those who look for what is broken. This begins with understanding the culture of the individual, team or organization: the mindset from which everything flows. 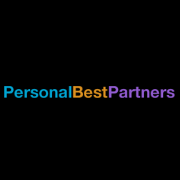 At Personal Best Partners, we stand firmly on the foundation of our collective wisdom—yours and ours. We see your potential and ours as unlimited. Our engagement with you and your company begins by learning about your strengths—what you already do well, as an organization or an individual. We operate with the understanding that the ultimate success of our ventures lies with the individual players. They must be engaged, inspired and excited to sustain high performance, and that is closely tied to applying inherent strengths and learning to mitigate weakness through collaborating. We focus on executive development, which to us means helping create the next wave of c-level leaders or entrepreneurs who inspire others to bring out their best in an environment that is ripe for innovation. We become thought partners to those who have a big vision and want to make a positive impact on the world. No matter what our title is, each of us in engaged in leadership development. We are constantly modeling for ourselves and others and all of us want to be the best we are capable of and keep expanding that. We want to hear about your vision and how we might serve that vision. Click here to connect with us.